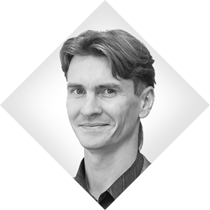 Ivan has over 10 years experience in the IT industry and more than 5 years of experience in personnel management. During the last 6 years the main directions of development were: construction and optimization of contact centers in various platforms and technologies, the introduction of CRM systems, systems analysis and optimization of business processes, architectural design of IT, IT organizations on ITIL guidelines. In his spare time Ivan enjoys digital photography, linux based embedded systems and python programming.